It’s been a long time since I’ve posted in Four Letter Words, forgive me. I’ve still been riding, and drinking, of course. Just busy launching another thing, OpenCoSF. But tonight I took a step back and took my wife out to our favorite place, and we noticed a new wine on the menu, from the makes of The Prisoner. 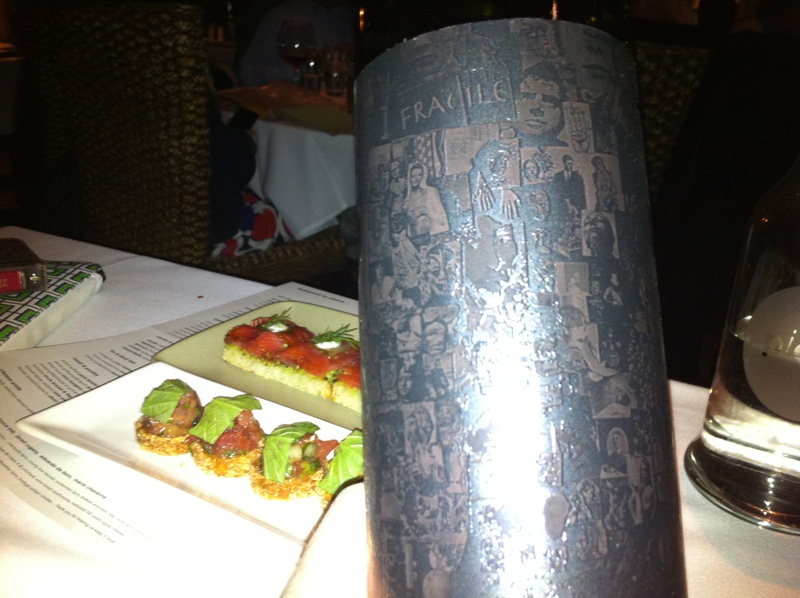 It’s called Abstract, and it’s got a wonderful etched label to which this picture does not do justice. 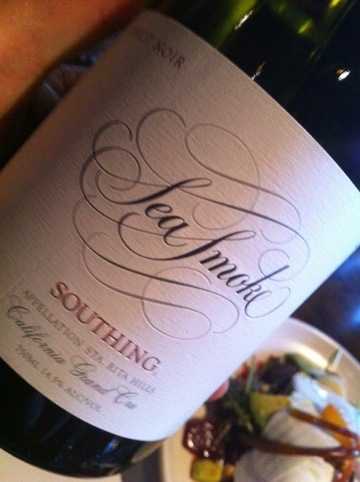 But it’s moderately priced (for a wine from Orin Swift), and it’s a wonderful drinker. So go get it if you can. 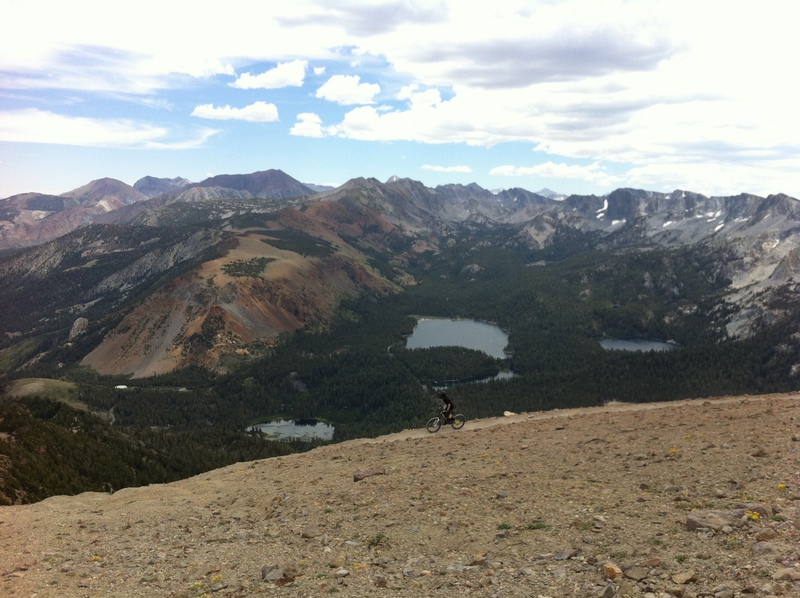 And yes, I’ve not stopped riding. 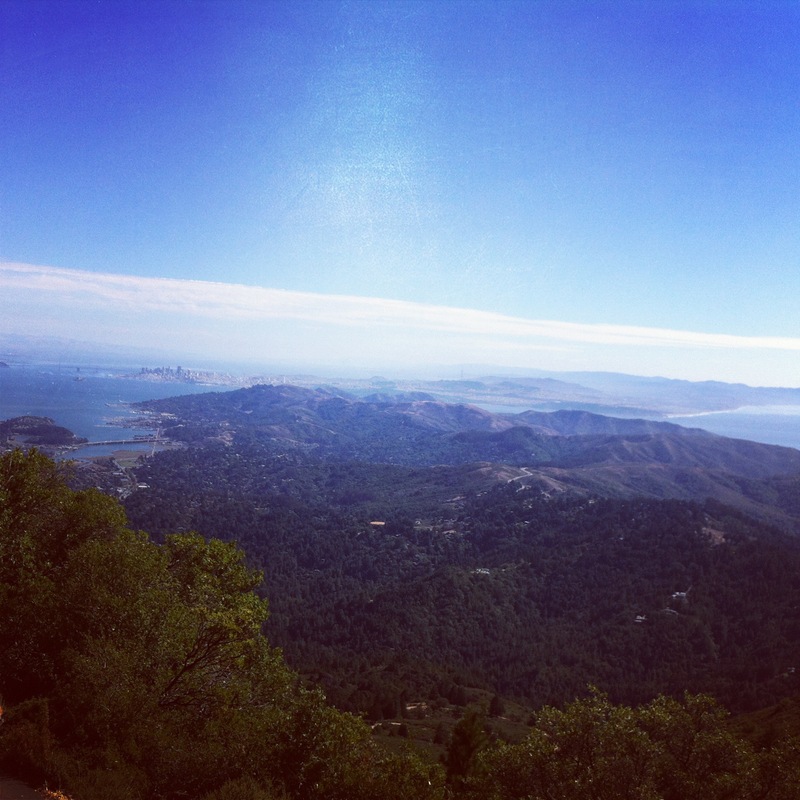 Here’s the view from the top of Tam on Saturday. The Bay was alive with boats – Fleet Week, the America’s Cup, the Giants in the playoffs, the Blue Angels….great day. 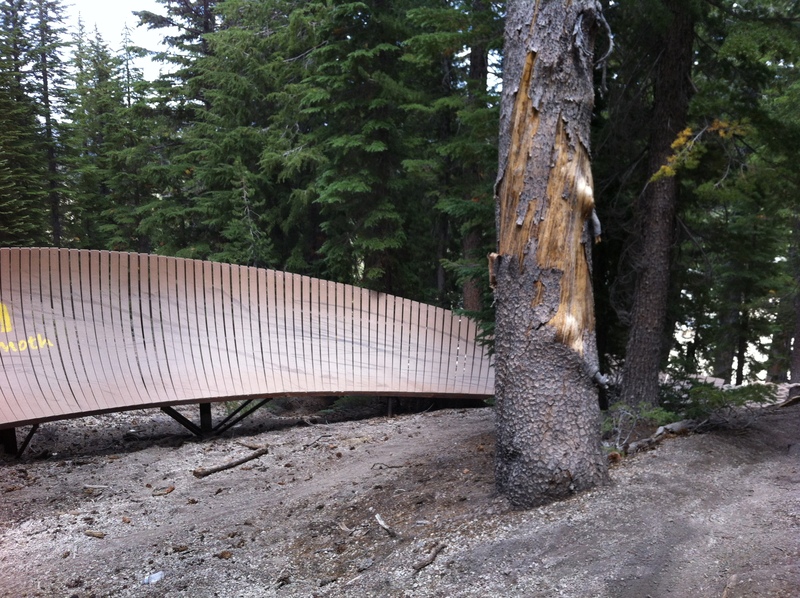 My family has been going to Mammoth Lakes, California since the 1960s. 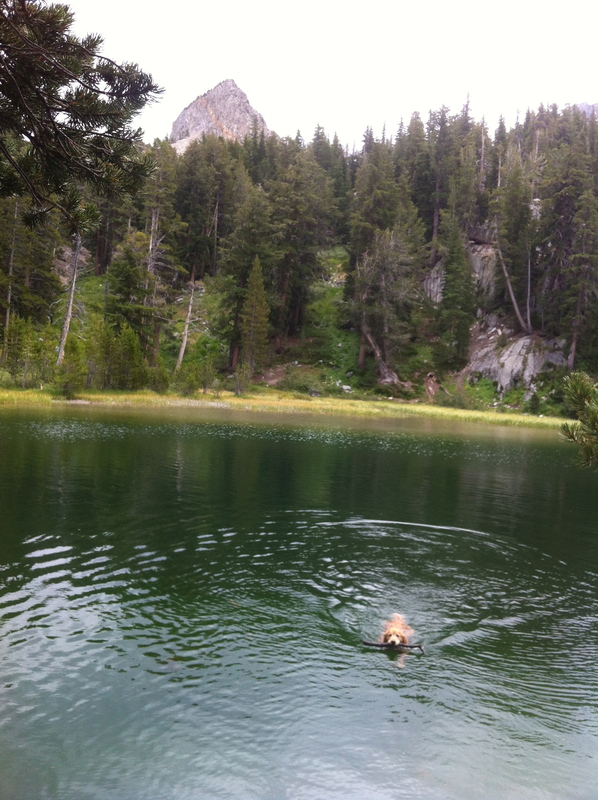 My mother has a place there, and this is her dog, who lives to swim after sticks in Sierra lakes. Not a bad living…That’s Crystal Crag in the background for anyone who knows the area. A good couple of weeks in wine, and a first ever for the garage band my buds and I have formed – we played our first gig in front of actual human beings, at a party last night. We even have a name: After. It’s been a good couple of weeks for good wine, so here’s the roundup thus far – mostly wines we’ve had while on the road in Colorado and New York. 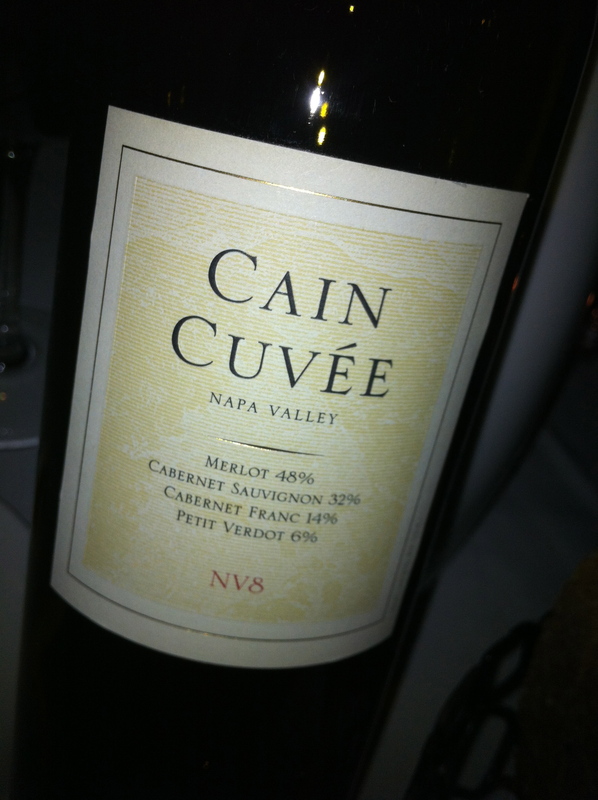 The Cain Cuvee, Napa, is a blend that works with just about anything. But I knew not all of you wanted to hear about my rides or consumption of wine, so I created feeds that filtered out the non-work related stuff. Alas, that wasn’t enough. I heard from a lot of you that you didn’t like my site clogged up with the pictures, and I don’t blame you. Having a website should mean having flexibility, so I’ve created a section of the site, which I’m calling “Four Letter Words,” for posting personal stuff. You can find it here. The main RSS feed for Searchblog will include only posts that are *not* tagged with “Four Letter Words,” and the main site will only display my typical industry-related stuff. But if you want to check out the other side of my life – one of my favorite four letter words, along with life, wife, kids, bike, and wine – check it out. And thanks for coming. Means the world to me. Many of you have asked me to not mix business with the rest of my life, and thanks to my pals at Blend Interactive, it’s finally happened. I have a new section of my site, which I’m calling “Four Letter Words” – mostly photo posts about life, wine, and bike(s). Consider this the first post, in which I’ll catch you up on some good drinks and rides over the past few weeks. Searchblog RSS subscribers who take the main feed will NOT see these posts, but you can sign up to get them either as a separate stream, or with all other posts, on my feeds page. First up, let’s get a bit of wine entered into my personal Database of Intentions (and I’ll pin these to my board as well). We had this nifty Chappellet 2002 Cab last month, and I’d encourage anyone within reach of a bottle to open it, immediately. 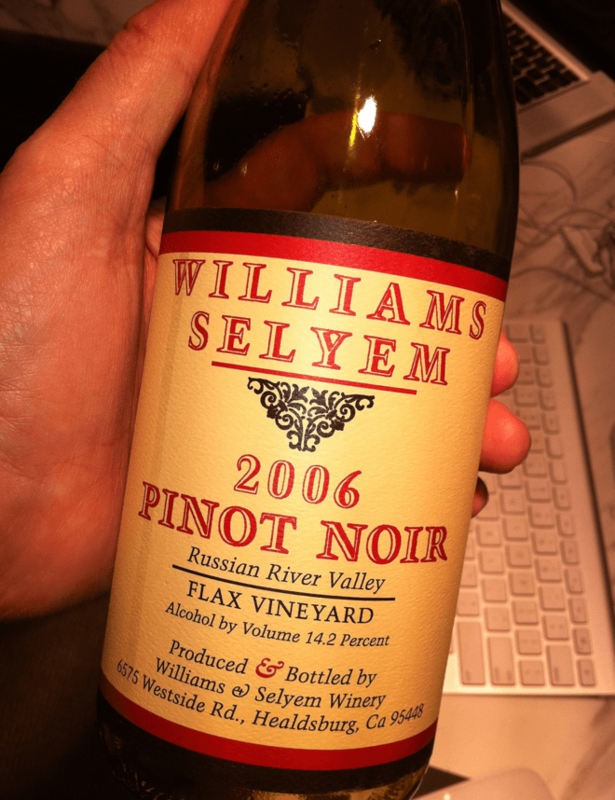 Dinner with friends and a night in the band room proved bountiful when it came to trying new wines this week. 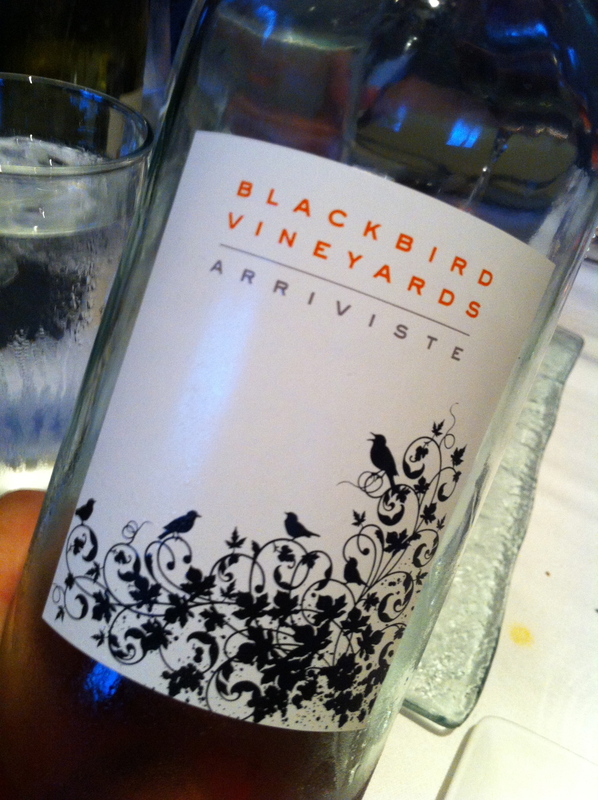 I tasted this Blackbird Vineyards Arriviste – a Rose that the gals had. They sure liked it. Proved a great start to the dinner for them. 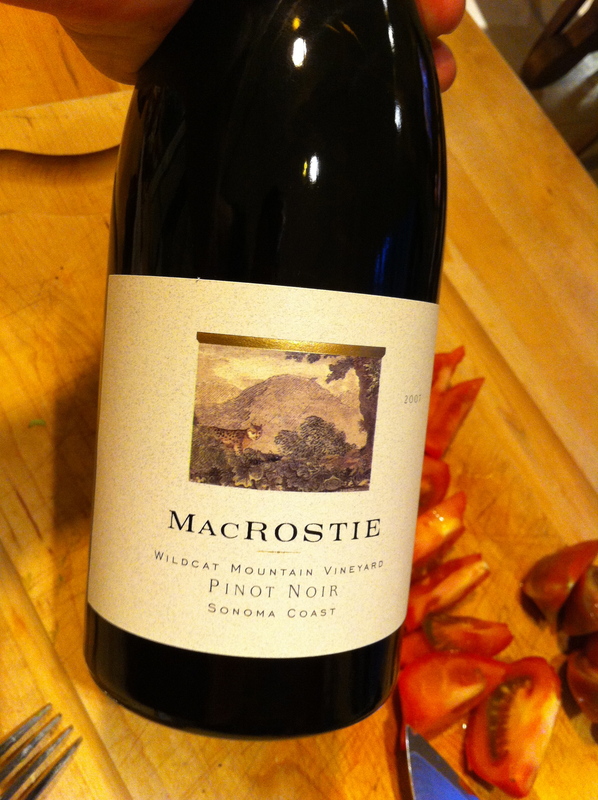 A very happy Friday night with my wife, mother in law, and kids (and tomatoes, kale, wild rice, et al), made round by this MacRostie Pinot, 2007. Yippee, it’s the weekend! 4 Comments on Oh, MacROSTIE! Author John BattellePosted on May 11, 2012 Categories Four Letter Words, Life, PhotosTags macrostie, pinot noir, wine4 Comments on Oh, MacROSTIE!